DJ Central Music Services is an Oakville-based DJ company that aims to provide outstanding music and entertainment for your upcoming wedding or special event. Their extensive music library and state-of-the-art equipment together with their friendly and professional staff make them a great choice for your wedding entertainment. They have been providing professional music services for over 30 years and pride themselves in being known as "The Wedding Experts" thanks to their experience and level of commitment to customers. Over the years they have made over 8,000 weddings a huge success. DJ Central/ Dave rocked our wedding reception! We used him for our ceremony and as our MC also and would again in a heart beat. Everything went so smoothly as Dave was in constant communication with ... Read more the venue staff, kitchen staff and checking in with myself or the groom. He was so professional and offered many great suggestions on how to run the night to get people up dancing and enjoying themselves. We went with his ballon kissing game and I loved it!! My father is a hard one to please and I was slightly worried about this as he always complained about the noise level or music at other weddings; after ours though he kept saying how great the DJ was! Our dance floor was full all night and he even entertained a bit of an encore for our guests. We would hire him again for any event! DJ Central was super organised from the start, they set up a meeting with us to go over the options we had for the day from start to finish and even gave us all kinds of tips on how to organise our ... Read more time, how to make sure there would be a good music selection and how we could change the order of events a bit to make sure we could do everything we wanted without the reception dragging on too much. I really loved and appreciated all the ideas they had, input and care they put into making sure our day went fantastically. They were a little more expensive then what we had budgeted for but I have no complaints. We hired Dave to DJ our wedding after planning to use spodify for most of the planning stages. Thank GOODNESS we did! He absolutely made our wedding! He had was our MC as well and kept things going ... Read more beautifully. He helped us with the timing of things, such as when to do the cake cutting, but was great when we had our own ideas too. He valued our ideas but was quick to help out when we weren't sure about things. We had an older crowd at our wedding and I was really afraid that it would die down by 10:00/10:30.Dave had the dance floor going until the very end! People from 14 - 86 were all up dancing right through the night. I can honestly say that our wedding would not have been half as successful had we not hired Dave! Our guests are raving about how much fun they had (and the weather was in the 40's) yet they were still up having a blast! My husband and I cannot believe we actually thought of trying to play music from our phones at our wedding. We cannot thank you enough Dave. You truly made our wedding everything we dreamed it would be. We hired DJ Central after booking with our wedding venue, and finding out they are a preferred vendor. I can honestly say, I was so impressed and would absolutely recommend DJ Central and Dave Hinton ... Read more to anybody who asks. Dave is very thorough in his meetings, and makes sure he knows everything we want/need from him. The songs for the ceremony/entrances/first dance were perfect, and he kept the party going all night long! We paid the upgrade to have DJ Dave at our wedding, and if it’s in your budget I would highly recommend it. 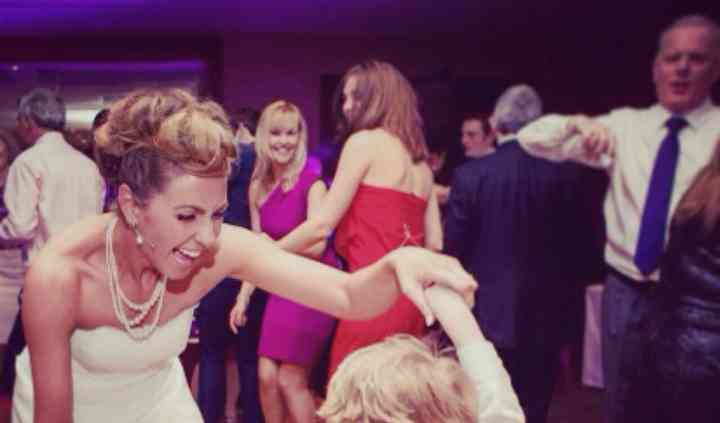 Dave is an experienced and professional DJ and you will not be disappointed. 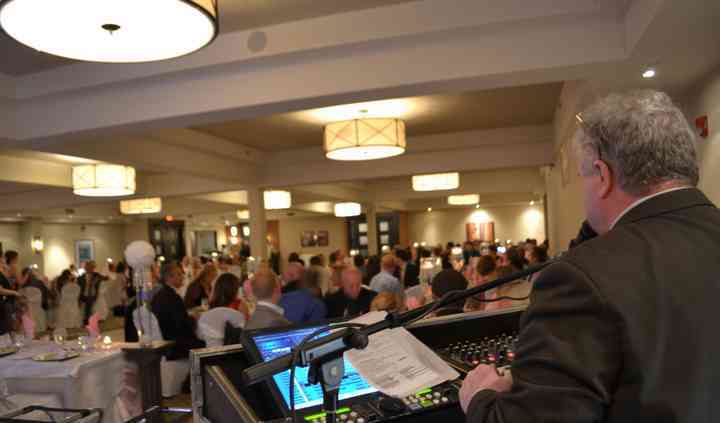 We had our own MC and were very impressed at how well he and Dave worked together to make the night flow smoothly. Dave took the time to talk with our MC about how to best work together. Dave surprised us with the Newlywed Game and it was a huge hit with our guests! The entire crowd was laughing! We played balloon trivia throughout dinner and Dave paced it very well! 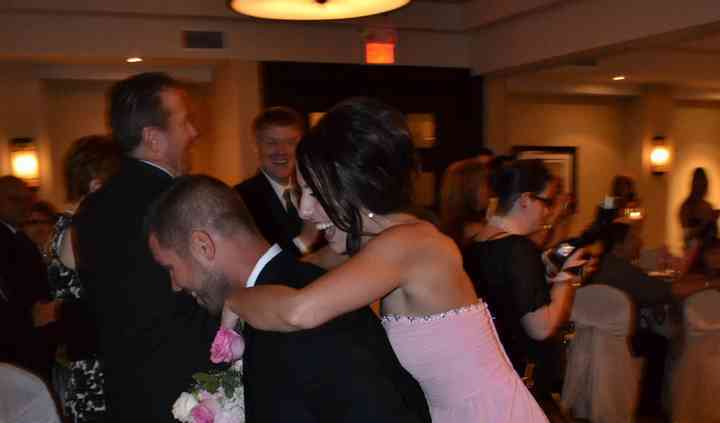 He also surprised us with a “locomotion” train and we had about 80% of our wedding guests (us included) join the train! The centerpiece giveaway was also so fun! 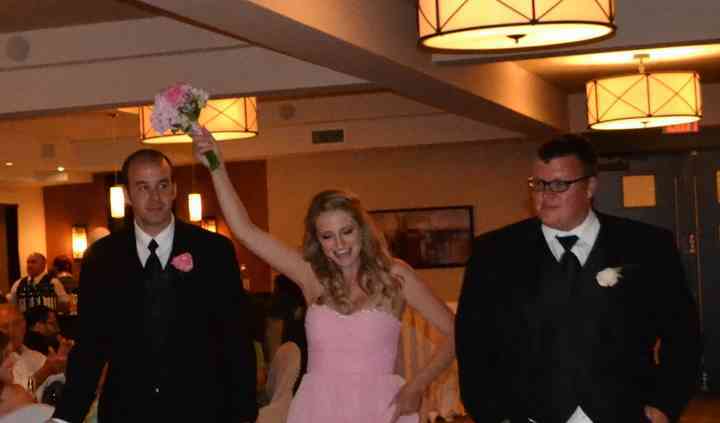 I am of course biased, but I can honestly say Dave and DJ Central helped to make my wedding absolutely perfect. I will say, we did attend a wedding that used DJ Central (after we had already booked with them) and they had a different DJ for the night. I did have a few concerns after that, and expressed them to Dave. Make sure you don’t have a “rookie” DJ and ask for somebody with experience. It was only $150 extra to book Dave himself, and it was well worth the price.